Try looking on the bright side for a moment. For years everyone has been telling you to back up your iPhone to your Mac and you've never bothered. Now you don't have to —but that's because as of macOS Mojave, there's just no point. It's true that plugging our phones into iTunes has been inconvenient. So let's take a moment to applaud how Apple has made iCloud backups better over the years. And now rage about how what's really happened is that the iTunes backup has been reduced. There is no longer any discernible difference between the two and that's because Apple has removed the single greatest reason to back up to your Mac. Previously you were able to make backups of your iOS apps: plug your phone into iTunes on your Mac and it backed up your apps. It also let you pick one of those apps and drag files to it via your Mac. We don't miss that because it was slow and fiddly, at least compared to the ease we now have of doing the same thing automatically with iCloud Drive. Still, we used it and it was sometimes the handiest solution. It's the backups we miss. The backups. Say you delete an app and then change your mind. Or perhaps you have to dump a pile of apps to get enough room on your iPhone to install an iOS update. Once an app is off your iPhone, you are risking never being able to get it back. Now, granted, that's a worst case but we'd rather be pessimistic than take Apple's optimistic view. The company believes that you can delete your apps and always be able to restore them simply by re-downloading what you need from the App Store. You can see their logic. Any of us can search the App Store and when we find an app we've previously bought, it's shown to us with an iCloud download icon instead of the price or a Get button. Click on that and the app redownloads. Don't be on the road, though. The App Store will not let you download anything bigger than 150MB over cellular, regardless of how good your plan is. Whereas before, if you backed up to iTunes on a MacBook, you could have that with you on the road and just restore the app directly from there to your iPhone. Still, most people do either go to the App Store or maybe schlep though their previous purchase list. To get that you just have to open the App Store app on your phone, tap Updates, then tap on your profile photo, next tap on Purchased, then My Purchases, wait for the long list to load and then finally search for the app. You can mock the number of steps you have to go to if what you want is to scroll through your previous purchases to find an app whose name you've forgotten. However, the facility is there and every app is available to you immediately —except it isn't and never has been. 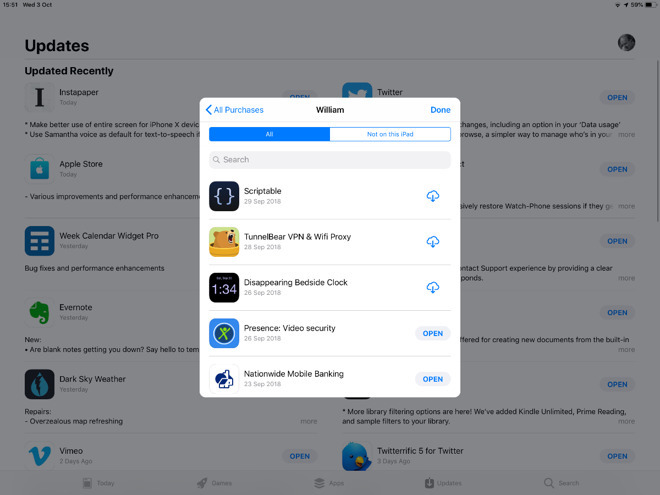 Apple removes apps from the App Store. Permanently. We wouldn't dream of complaining when those apps are discovered to be stealing our data as naturally any kind of malicious app needs to be removed. Come on, we're not Android users. Sometimes the decision is more controversial, such as last month when Apple dropped Alex Jones's Infowars app as well as the commentator's podcasts from iTunes. Surprisingly often, there's nothing wrong with the app and they haven't transgressed Apple's rules —but they have contravened local regulations. Such as when in August 2018, Apple removed thousands of gambling apps in the China version of the App Store. Or a year before when Apple removed VPN apps from the same store. Or one more example: Apple removed messaging app Telegram after pressure from the Russian government —but then restored it. Ultimately Apple has control over what is in its App Store and generally we're fine with that because it's part of the whole process that means we get far fewer problematic apps than are in the Google Play store. We can imagine losing an app this way that we'd rather keep but there's more of an issue with who has, well, penultimate control. 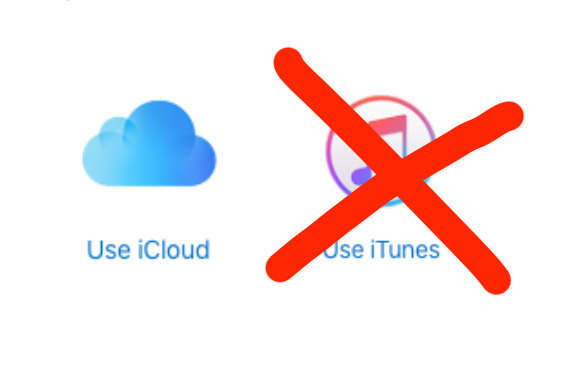 Developers can remove their own apps at any point by changing the rights and territories details in their iTunes Connect account. Usually that means they remove it from sale and the app remains available for download by anyone who's purchased it. However, that's never been guaranteed: we had an app we only installed every time a client needed us to and one day we couldn't get it back. It was a terrible app and we didn't miss it but we learned that day to trust our iTunes Mac backups instead of the App Store. That was one app for one AppleInsider staffer in the years since the App Store opened and your heart is bleeding for us. Only, if we're aware of it happening to us just once, still it happens often enough to people that up until this month, Apple has provided a solution. While it didn't promote this, if you needed to backup or manage apps on your Mac then you could download a special version of iTunes. 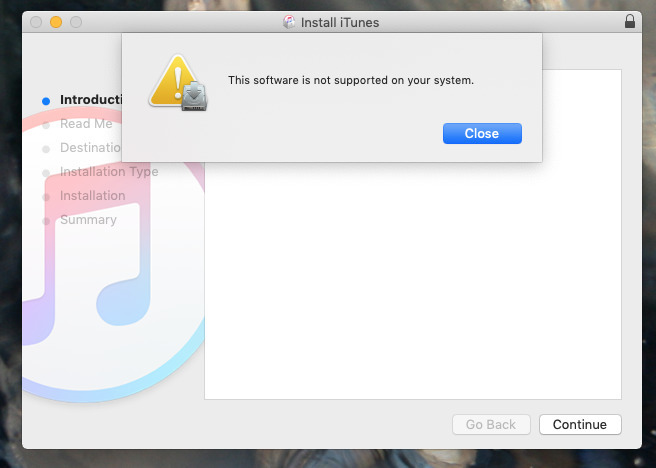 Shortly after the rest of us got version 12.7, you could elect to instead download iTunes 12.6.3. It was made to help business customers who might be managing multiple devices and apps for many staff but it worked for individual consumers just as well. Even though it had an earlier version number than 12.7, Apple made your Mac regard 12.6.3 as the newer one so that it would install. It was also updated: it wasn't the same iTunes as previously released, it now supported then then-new iOS 11. Don't get excited by Apple's support page about how to use this special version of iTunes. While the Windows edition is still available from that page, Apple originally removed the Mac one last month and then returned it on October 2 —without adding Mojave support. Right from when Apple first released this legacy iTunes edition to help customers, the company has stressed that it does not support it. Now even though it has just updated this version to 12.6.5, it states that this is not compatible with macOS Mojave. Mind you, Apple hasn't bothered to update the app's release notes to say that —the Read Me still says macOS 10.10.5 or higher. So whether you get it now or you already downloaded it, this version of iTunes is no use to you. It's not that it's a little incompatible, it isn't that there are some bugs, it's that it won't even launch under the new macOS. Apple says you don't need it. 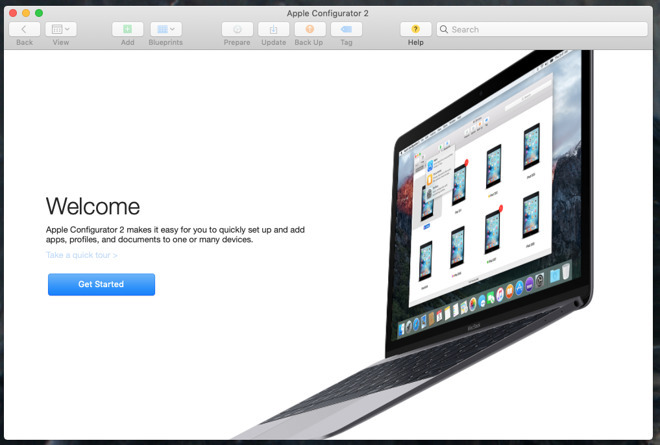 You can use an app called Apple Configurator 2 for Mac instead. This free Configurator app is aimed at corporate IT users who have to prepare, install and maintain anywhere up to thousands upon thousands of iOS devices. Fortunately, it also works with one. Unfortunately, it only works very, very badly. It is confusing and also somehow inconsistent in what it achieves. If you launch it and plug in your iPhone, you can restore apps to your iOS device fro your Mac. By default it expects you to be getting them from your previous purchase history on the App Store. If that's right then it re-downloads them for you before going on to install them directly onto your device. However, you can also elect to restore apps stored on your Mac. Click on Choose from my Mac and navigate to the right folder. Your apps are stored in /Music/iTunes/Mobile Applications and they are the app name with an extension of .ipa. 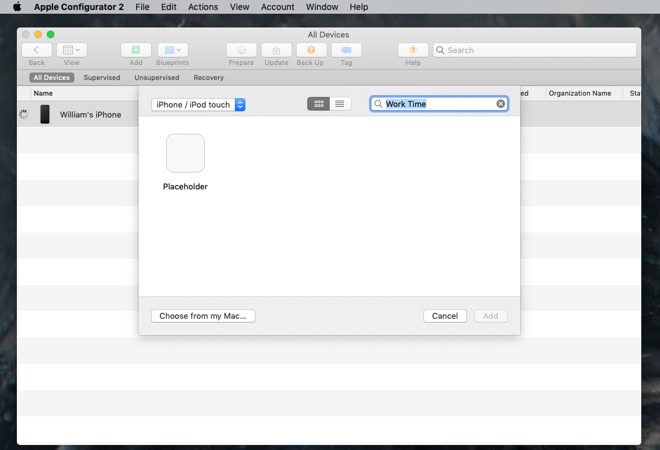 You're faster off going to that folder in the Finder to see if an app is there: Apple Configurator 2 is that slow. 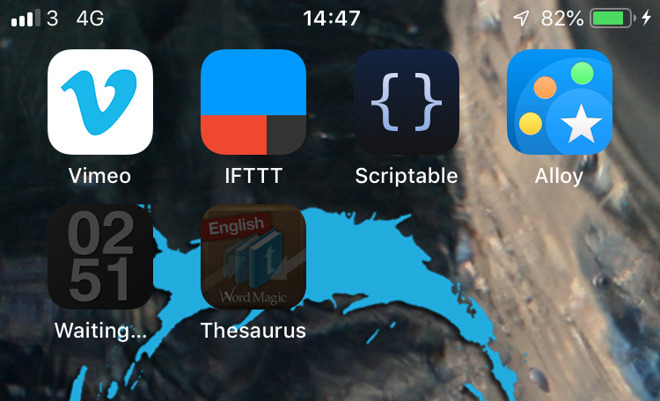 It will also sometimes just display a blank icon and the name Placeholder instead of the app's actual title. If you get a lot of those then there's no way to know which is the one you want. However, if you get just one Placeholder then it is your correct search result and you can install it. The single most useful thing Apple Configurator 2 did for us was to show how incredibly often apps have been removed. We have some 900 old apps stored in Mobile Applications and over and over we'd learn that app was gone from the store. That doesn't matter, though, because we've got them and we can install directly from Apple Configurator 2 to our iOS device. Pick an app and Apple Configurator 2 will install it to your iOS device. You can see it. It's there. Except sometimes the icon will be slightly dim and nothing happens when you tap on it. Other times the same app will launch when you tap on it, but you get an error message saying the developer must update it to work with iOS 12. Then sometimes the app will open just fine —for now. Go back to your iPhone after a few minutes and an app that Apple Configurator 2 finished downloading will have its status changed to Downloading or Waiting. Later, it will change back again. Without you or Apple Configurator 2 having done anything. You thought iTunes was bloated but at least it worked. And what's more, it did one further thing that neither Apple Configurator 2 nor any other Apple app can do. Next time you buy an app from the App Store, you have no Apple-provided way to save it to your Mac. You can't back it up to that Mobile Applications folder, you can't physically copy it anywhere. Apple Configurator 2 will backup your iOS device —but it ignores the apps. There is a solution: third-party app iMazing will let you manage your new and old apps on your Mac. We looked at a version almost a year ago, and we'll be doing so again shortly. It's intended for managing backups of music, photos and more but the app handling is the reason to buy it. For an individual user, iMazing costs $44.99 to use on one computer. It's also available on Setapp. With Apple first shutting off apps in iTunes 12.7, then giving but taking away again the legacy iTunes 12.6.5, you have to wonder what's next. It doesn't seem possible that Apple will take any further steps to remove the ability for software to handle apps, however. For developers must be able to create .ipa files before uploading them to the App Store. And while apps are .ipa files, those files must be copied and stored and managed somehow. There were other differences between backing up to iCloud and backing up to iTunes. Apple maintains a support page on these differences but grows progressively shorter by the month. Today it more lists what they each don't do. So right now neither iTunes backup nor iCloud ones will copy anything from iTunes, App or Apple Books Stores. Neither of them will copy Touch ID, Face ID or Apple Pay information. Still, iCloud also won't backup Messages, Contacts, Calendars, Notes, iCloud Photos or text messages. That information is already on your Mac via iCloud but Apple's page says it's backed up and we're not clear whether this is semantics or a separate backup. Either way, so long as you get to save your data, we're happy. We'd like app control and backup returned to us in some way but we'd also like to see some consistency. Right now iCloud backups are automatically encrypted and iTunes ones are not. You have to positively choose to make an iTunes backup be encrypted and that only takes a single click in a tick box. However, unless you know to do that, your backups are not encrypted —and that has an extra impact. Unencrypted iTunes backups will not contain the activity, health or keychain data from your iOS device until you switch on encryption. So until you know that, your iCloud backup is actually better than the iTunes one. We've come a long way from when we used to all plug our phones into our Macs every day. And if it's genuine progress, it's not all genuine progress.